We gaze upon rainbows, hoping they will fulfill their promise of peaceful new beginnings. Today, while surrounded by news of willful ways, conflicting ideas and outright tragic deeds, it’s easy to look beyond to the other side of those rainbows - the side where generosity and kindness prevail. And that is what Tales2Inspire is all about, a project to focus on goodness and inspiration. Tales2Inspire® is a project I created seven years ago with two missions in mind. The first was to seek out those over-the-rainbow stories, to reach out and spread some good news. But as a retired educator and author, I had a second mission in mind. I wanted to give talented writers with an inspiring story to share an opportunity to make their voices heard. With the help of some prominent author advocates, word continued to spread. 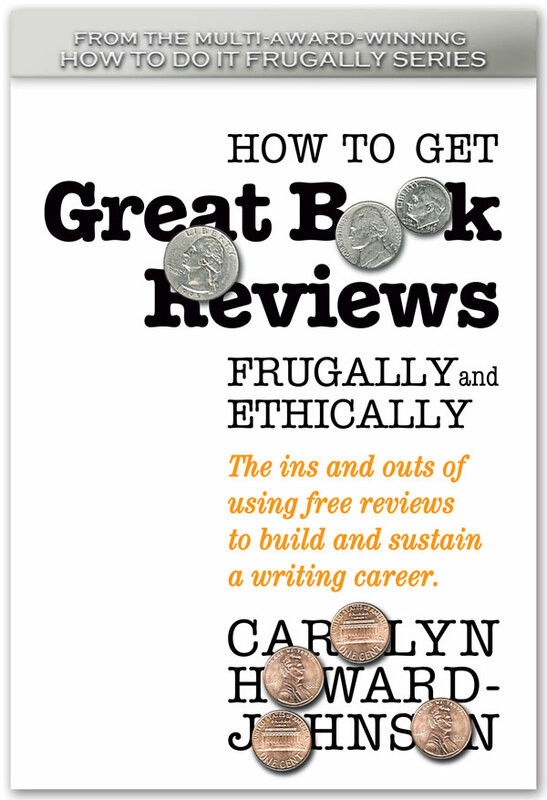 Accomplished authors and talented newbies alike have grabbed the opportunity. Why not, it’s FREE to enter and gives winners one more respected notch in their platform building belts. Each Tales2Inspire book contains stories of a different theme, with each collection named for a different gemstone whose symbolic meaning relates to those stories. For example, the Ruby, the symbol for friendship and love, is a collection of stories sharing some amazing Gifts of Compassion. For example, A black belt champion throws a temper tantrum each time he loses a match. But he isn’t fighting for a trophy or glory. He fights to keep ghetto children out of harm’s way, for one more day. A young girl runs a marathon in each of seven continents to honor her deceased father, while promoting blue ribbons as a symbol for prostate cancer. She is now listed in the Guinness Book of Records as the youngest person to run a marathon in each of seven continents. The current theme, Making a Difference is turning into two separate books. For one thing, I’m collecting stories of kids making a difference, and am working with these kids to write their stories. The second book will contain stories about teachers who have made a difference, and can be written from two points of view: how a teacher made a difference in your life or how you as a teacher made a difference in the life of a child. The Guidelines for Writing a Winning Story are detailed at: http://tales2inspire.com/contest/guidelines/. Once you have read them, polished your story to perfection and are ready to submit, go to: http://tales2inspire.com/contest/ submit/ to learn how. Has the word FREE popped out at you yet? For one thing it is FREE to enter this contest. For another, you can get a FREE sampler of six Tales2Inspire published stories for your Kindle, Nook, iPad, simply by going to www.tales2inspire.com/gift. 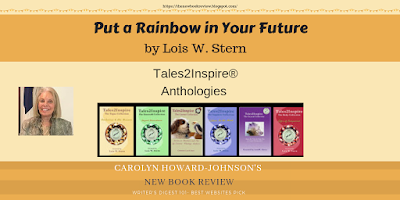 Not only will you enjoy these, but it would be really helpful for those entering this project/contest to read a few stories that have won past Tales2Inspire awards. 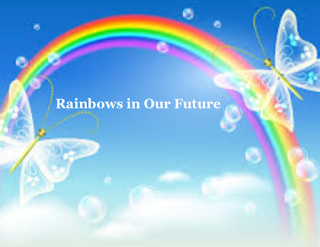 Are you ready to put a Rainbow in your future?